US President Donald Trump once again falsely claimed on Tuesday that his father was born in Germany when he was in fact born in New York in 1905. 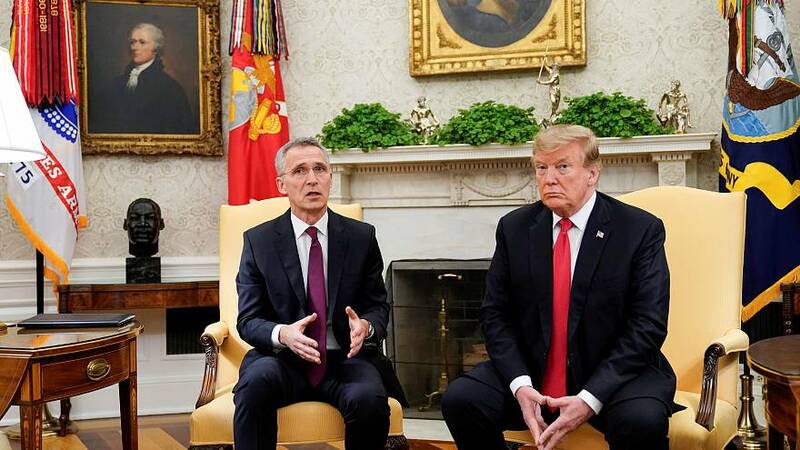 Trump made the comments from the White House where he was meeting with the head of the North Atlantic Treaty Organisation (NATO), Jens Stoltenberg, and admonishing Germany for "not paying its fair chair" in defence spending. "I have great respect for Angela (Merkel, the German Chancellor) and I have great respect for the country. My father is German, right. Was German and born in a very wonderful place in Germany. So I have great feeling for Germany," Trump said. According to a tally by the Washington Post and Buzzfeed News, it is the fourth time the American leader has publicly made the erroneous claim. He appears to confuse his father with his grandfather. Friedrich Trumpf (later known as Frederick Trump) arrived in the US from his native Germany in 1885 at 16, US immigration records show. His son - Donald's father, Fred Trump - was however born in the Bronx, New York, in 1905. Trump's mother, Mary Anne MacLeod, was born in Europe. She acquired the American nationality in 1942, twelve years after leaving her native Scotland for the US. Trump has had issues with birthplace locations before. He famously held a stance for a number of years that presidential predecessor Barack Obama was not born in the US, thus rendering him ineligible to be president. Trump later abandoned the claim.